Traditionally private healthcare has been associated with those types of surgery that are considered for cosmetic reasons or just for the rich and famous, but plastic surgery is not the full picture of private healthcare by any means. In fact plastic surgery only plays a very small role within private healthcare. There is also a common misunderstanding that the chances of acquiring an infection from being in hospital is somehow prevented if treatment is given privately but as we all know, bacteria can travel anywhere and affect anyone so it is still very possible to suffer from a hospital acquired infection even within the private setting. 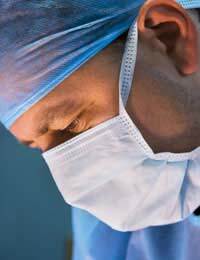 There is a vast amount of surgery that is carried out within private hospitals and these can range from joint replacements to hernia repairs or even organ removal. In fact any type of surgery can be performed in a private hospital that has the facilities with the exception of some emergency procedures. In the event of an unscheduled surgery, the patient is likely to be accepted into the hospital via an accident and emergency department upon which they will be assessed within an NHS setting. In many types of emergencies the surgery must be performed quickly in order to preserve the patients life, prevent long term damage or minimise the risks. Very occasionally there be enough time to permit a private patient transfer to a hospital of their choice and a surgeon of their choice but usually these surgeries are considered urgent and not an emergency in the true sense of the word. Most cosmetic procedures will need to be carried out in the private setting unless the specialist doctor believes there are grounds for it to be performed via the NHS.Procedures such as liposuction, collagen implant treatments, breast augmentations, tummy tucks and so on are almost always considered to fall under the domain of plastic or cosmetic surgery. Occasionally they may be done in An NHS hospital by NHS staff but this is not common and each individual will be independently assessed for their suitability as an NHS patient if they wish. For all non-cosmetic procedures your insurance provider (if you have one) will be able to fund your treatment for you as part of the policy purchased. There may be exception to this if the surgery is due to health complaints that existed before you initiated the insurance and this is something that should be considered when taking out a new policy and researched thoroughly. If you do have private insurance and have been told you could benefit from having surgery, the costs of not only the pre-care and the operation itself are covered, but the aftercare care also.As far as cosmetic surgery is concerned, this usually has to be purchased separately from inclusions within your private health insurance policy. These procedures can be purchased directly from the company responsible for providing your healthcare, of which there are several well-known ones in Britain. Cosmetic surgery does hold a very strong place in the private sector, but there are also many other types of surgery and treatments that can be performed in this setting also.